The post today is not about recipes. It’s about three products I recently discovered in Woolworths. For my overseas readers who don’t know, it’s one of the several large supermarket chain. 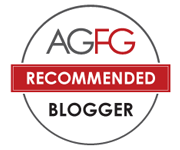 I know this post is a bit off topic because I promote the use of local ingredients and buy local SA, but in case that I can’t find fresh SA produces, I do go to find other alternatives. Now, the Ocean Chef brand soft shell crab is the case. 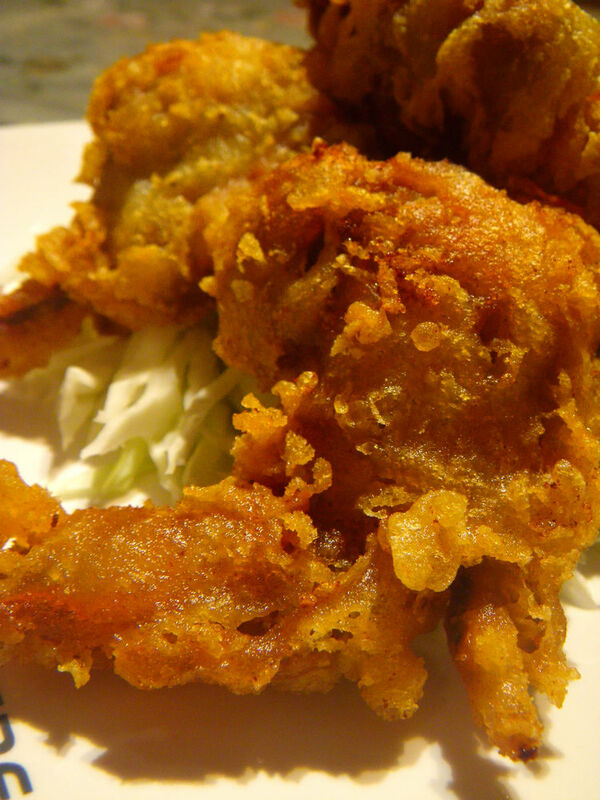 Soft shell crabs are the culinary terms to describe crabs that have just molten their exoskeleton. These crabs are very soft and after deep frying, they can give really good mouth feel and one can easily consume them without the worry of those hard shells. 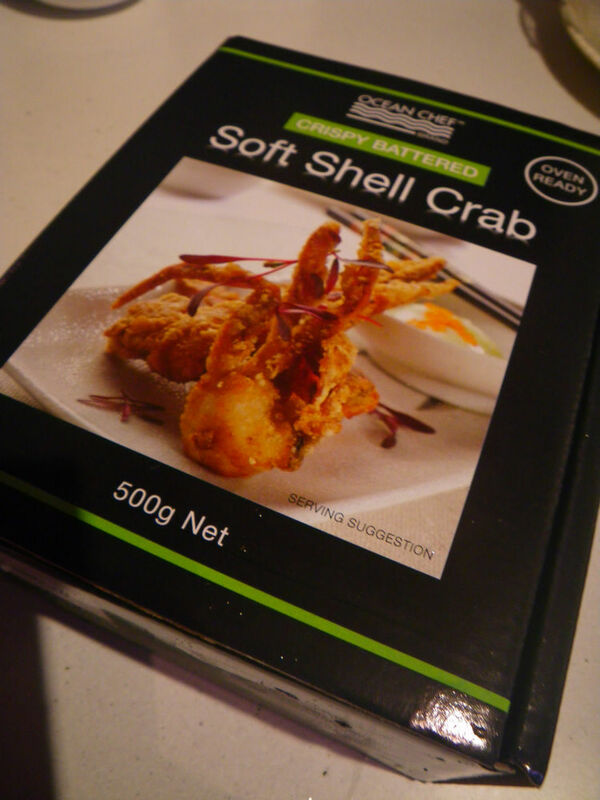 I have been searching in every markets in Adelaide trying to find fresh soft shell crab but was never successful. I even went on to look for frozen ones and the answer is still a no no. Until 2 weeks ago, I was in the Frewville Woolworths and suddenly found this product. I have been dreaming for soft shell crabs for a long time. From memories of my childhood, Dad used to dive and catch these crabs, deep frying them. The fresh ones tastes really nice with strong crab and seafood flavour. Anyway, this product was not produced here in Australia, but for a desperate foodie, I bought several of them. The crabs came in a box and weigh about 500 G. After calculation, the price was about AUD$32 per kg. Originally, I wasn’t expecting too much about it. They were only used to rescue me from craving. The crabs have already been beer battered and were frozen. I added extra salt to the product as I know most of these products have less salt added. The deep frying process was as how I normally do it. The end result was a dish with beautifully fried soft shell crabs. Regarding the taste, the crabs weren’t full of meat, because they were at their early stage of the molting process. The flavour was good with an array of seafood tastes in the mouth and the correct amount of saltiness. They were crispy and a serve of Japanese mayo complemented the crabs very well! Although this is not the best soft shell crabs I ever had, for a product from supermarket lines, they are of good quality. Btw, if anyone know where I can get fresh soft shell crabs in Adelaide, please let me know. It’s best to cook with local fresh ingredients and in that way I can adjust the flavours as well. 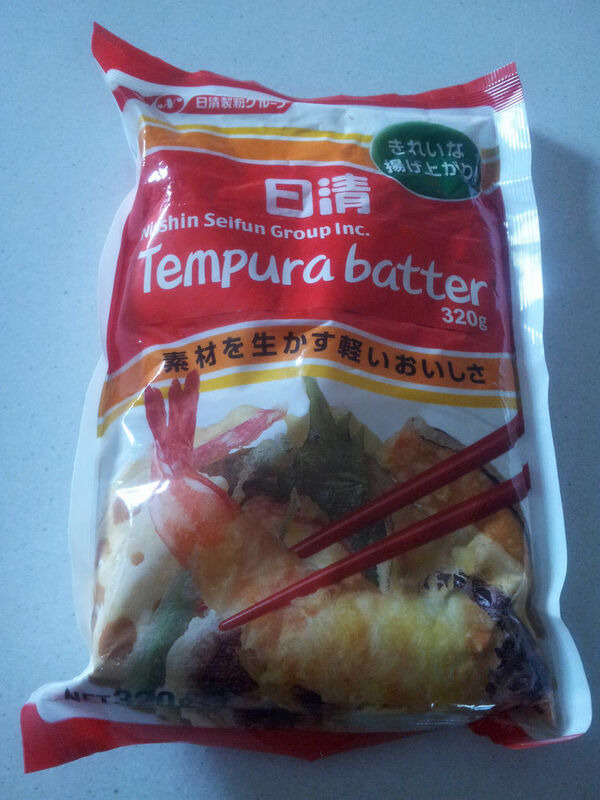 The second product to be introduced in this post is a tempura batter I discovered 3 yrs ago. Tempura is originated in Portugal and was introduced to Japan in the sixteenth century. The batter involved the use of cold water/sparkling water, flour, baking soda, eggs, oil, starch and some spices. 10 years ago, when I worked in a Japanese restaurant, Teppanyaki – the flavour of Japan on Glen Osmond Rd, I saw my boss made some good batters but it was kept as the top secret. Since then, I tried numerous times but was never successful with the batter. 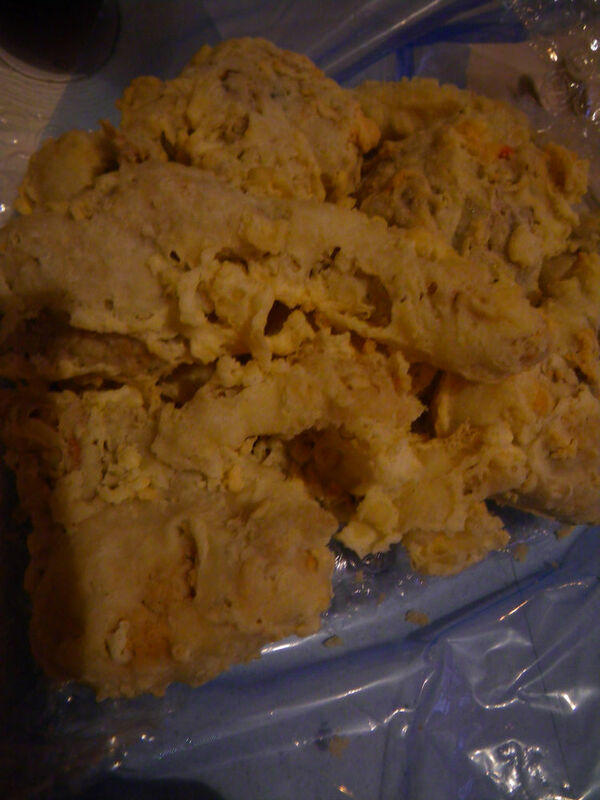 I even tried to use the recipe Cooking With Dog introduced in her videos, but the result was still not satisfactory. Before I continue, I want to make this clear that tempura is not our normal deep frying. Some restaurants misused the term for a long time. Around two years ago, I said this in one of my post and some one stood up and said nasty words about it, but thanks to my loyal reader, Jess who helped me in the discussion. Well, again, if anyone knows a good tempura batter recipe, please let me know and I am very keen to try. Anyway, back onto the product, it was from the Nisshin Seifun brand, which specialises in making flour products and a bounch of other Japanese specialties. It was found in Woolworths Marion. This is the only branded flour that made really satisfactory tempura stuffs. All the others currently in woollies, coles and Asian groceries that I tried did not give anything near good tempura. The ratio of water to the batter to make a good paste is 8:5, ie 80 mL of water to 50 G of batter. For prawns, I used whole SA King prawns without head and thin slices of zucchini. You can use eggplant, sweet potato, potato and carrots. 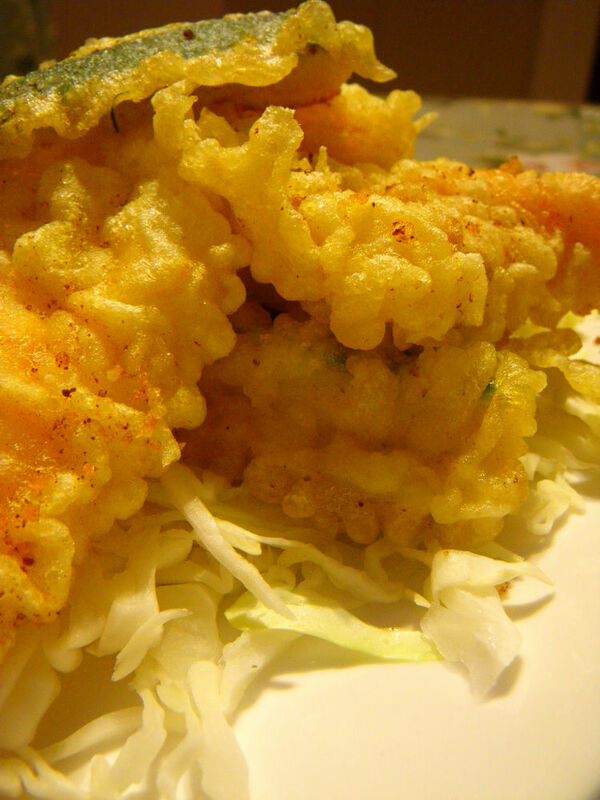 The end products are very crispy, hot and juicy tempura delicacies! Love them. 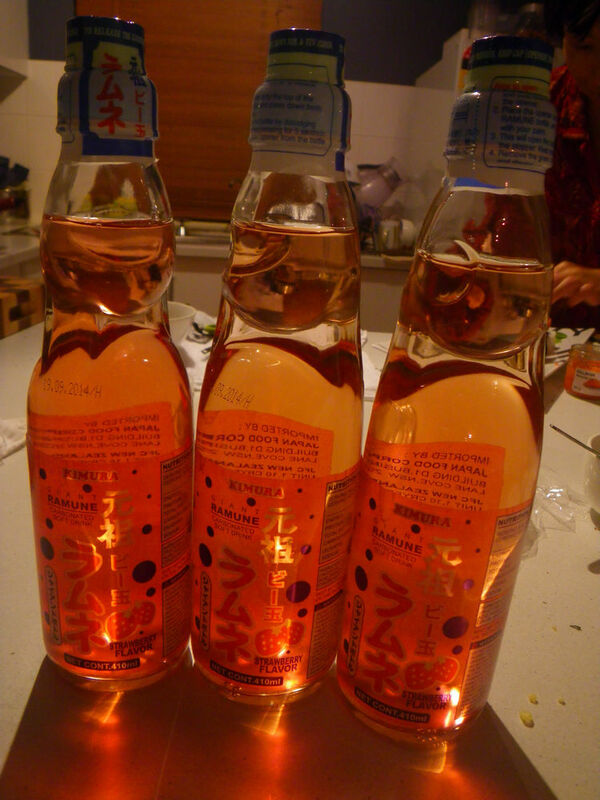 The third product featured in this post is Kimura Ramune Strawberry soft drink, which was discovered in Woolworths Rundle Mall two weeks ago. In the basic Japanese food guide series, I still have gyudon and okonomiyaki to be made but since the teaching semester will start soon, I’ll try to make them asap. I am also on trials of Aburi slamon sushi and tuna toro (belly) sushi at the moment, but cannot find tuna belly. Please let me know if you have idea where I can get some good tuna bellies. Enjoy! Thanks for the introduction of these products. I will check them out at our Japanese store in the City (S.F.). No worries, Fae! Hope you enjoy them. 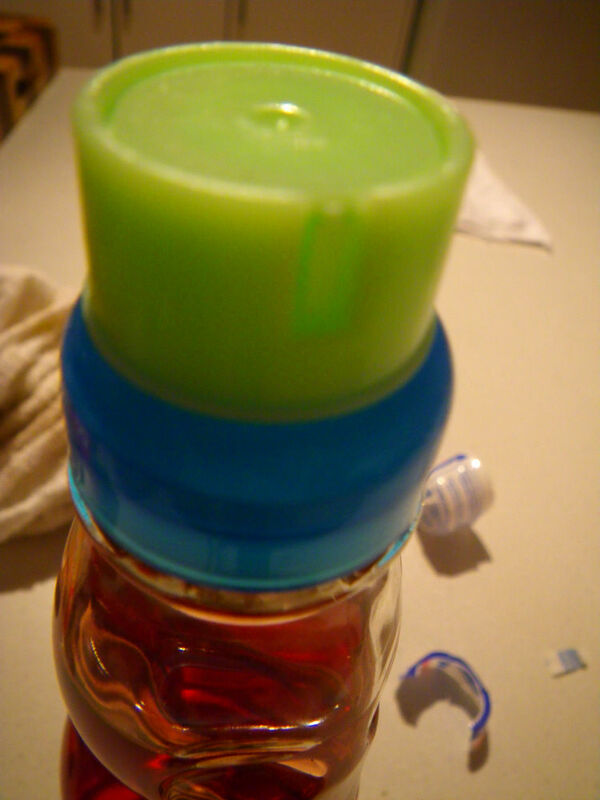 I love the ramune! G’day! Never heard of the Strawberry soft drink, so thank you for highlighting something new! Your tempura looks YUM and could go for some now too! Re soft shell crabs…supply varies & is seasonal, but Angelakis Bros is a great family owned South Australian icon business too! Good Luck! Thanks Joanne! I check their place before but they didnt have any. will check back soon.